I’m sure most of you know my good friend, author Joseph S. Pulver, Sr., from his work, and from the Lovecraft eZine video chats. Joe edited a Thomas Ligotti tribute anthology recently titled The Grimscribe’s Puppets. 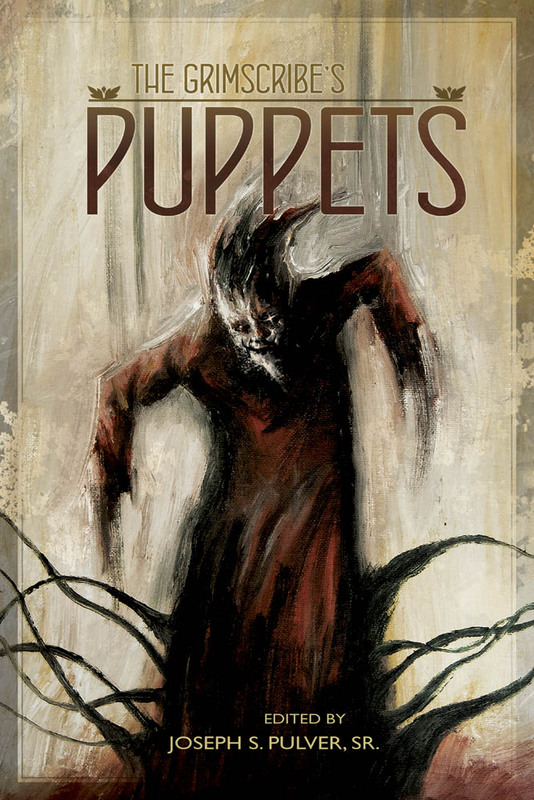 I’m proud to announce that The Grimscribe’s Puppets is on the 2013 Bram Stoker Awards® Preliminary Ballot! I hope it goes all the way, because this book deserves it. Joe deserves it, the authors deserve it, and Thomas Ligotti sure as hell deserves it. By the way: We will be discussing The Grimscribe’s Puppets on The Lovecraft eZine Book Club on February 22. You can buy it here, if you wish. Voting for nominations to the final ballot runs until FEB 15th. By the way, if you’re a fan of the new HBO show True Detective, you really ought to read A Season in Carcosa. Congratulations, and best of luck to everyone! THXxxxxxxx for the signal boost, Mike!! !!!!!!!!!!!!! And BEST of luck to everyone!! ! Thanks for the shout out, Mike. You’ve sparked my interest in S.P. Miskowski. I actually own all of the other books on your list of preliminary nominees. I can’t find her book “In The Light” anywhere, even on her publishers web site. Is it in an anthology? It is part of the “Skillute Cycle”. In the Light, the final book in the Skillute Cycle, will be released by Omnium Gatherum in early June. Thanks very much for asking! Thanks for giving Jack a shout-out, Mike! There’s some great stuff on the ballot this year, and I’d encourage the HWA members out there to vote and vote often! And for those on the fence, thinking about joining HWA, what’s keeping you? Congratulations to all! This was a great year for horror with some amazing works put forward! Good luck!